A1 Solar UK are members of MCS, RECC and the Confederation of Roofing Contractors. We undertake work locally and Nationwide. Written quotation, clearly showing the total price to pay and the estimated savings. On a date arranged that is convenient to you your we will arrive with a skilled installation team to complete the installation with minimal noise, fuss and absolutely no mess. Our installers are not simply trained up to install solar panels they are highly skilled, qualified and experienced electricians and roofers. We only use approved products and panels that we consider to be of the highest quality and best value on the market and we guarantee that the installation of your solar panels will be as quick and disruptive-free as possible. MCS (Microgeneration Certification Scheme) is an internationally recognised quality assurance scheme. It is there to keep the industry honest! A1 Solar UK Ltd is an approved MCS installer and all of the products we use are also MCS approved. RECC (The Renewable Energy Consumer Code) is a consumer code set up in order to guarantee a high quality experience. 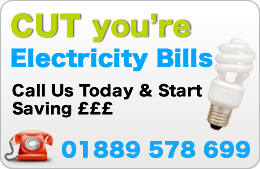 A1 Solar UK Ltd is a member and is therefore obliged to adhere to the RECC consumer code. Photovoltaic research and development has been upped in recent years as the technology is considered a leading renewable consumer energy source. In fact, reports claim photovoltaic production has doubled every two years since 2002 making it the world’s fastest-growing solar power and energy technology. You can benefit from the Governments feed-in tariff which pays a set rate per kWh of electricity generated and an additional rate for any exported back to the national grid. 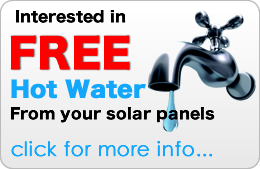 The feed-in tariff is guaranteed by the Government for 20 years. Panels designed for European countries generate power even on cloudy days, they simply need light to produce electricity. A large area of unshaded south, south-west or south-east facing roof is required to maximise payback. Smaller systems can be installed but payback will be longer. It may be beneficial to replace the inverter after 10 years to optimise power generation, although this is not essential.